At Georgia Plumbers 24/7, you can count on us always being there when you need us most. No matter what time it is, you can rest assured that we’ll be on our way as quickly as possible to assist you with all of your residential and commercial plumbing issues and emergencies. If you are looking for an emergency plumber in Atlanta that you can trust, don’t hesitate to turn to our experienced emergency plumbers! With 50 years of experience, we’re happy to provide fast, friendly and professional service, day or night. We understand that residential and commercial plumbing issues can cause a lot of stress, especially when you find yourself faced with an emergency situation after normal business hours. This is why we offer 24/7 emergency plumbing services, so we can help you at any time — day or night, weekend or weeknight. Let us assess and remedy your issue, so you can get back to your everyday life without the added stress. We offer the same affordable rates no matter what time you need us, day or night, weekday or weekends. We are here to serve you! No matter when you call, we’ll be prepared. 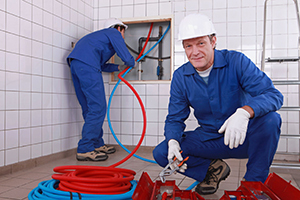 Our certified and highly skilled plumbers can quickly identify any problems, and perform almost all repairs on the spot. We keep our work trucks fully stocked with an array of the most modern equipment and parts so in order to save your valuable time and money. As your trusted emergency 24 hour plumber, we handle an array of plumbing issues throughout the Greater Atlanta area and beyond. Give us a call today for a free consultation! Copyright © 2019 Plumbers in Georgia . All Rights Reserved.